It is good to see the younger investment professional I work with striving to reach this accreditation and be willing to carry forward the CFA institute’s message and practices given their focus on ethics. In its work to promote ethical behavior in the industry, the CFA Institute co-commissioned a study of investor trust with Edelman Berland. The study looked at institutional and retail investors in the U.S., U.K., Hong Kong, Canada, and Australia, and found some interesting results. One of the findings was that 73 percent of respondents agree that they have fair opportunity to profit by investing in capital markets. Although it is encouraging that most investors believe they have a fair shot at making money in the markets, it would be interesting to know exactly why that number is not closer to 100 percent. The disturbing take-away is the point that only 52 percent of investors trust the financial services industry, according to this study. This is troublesome to see, given just barely half of investors trust the industry I have chosen to make a living in, but it also presents an opportunity. Basically, one of every two clients we meet doesn’t trust us to do what is in their best interest. 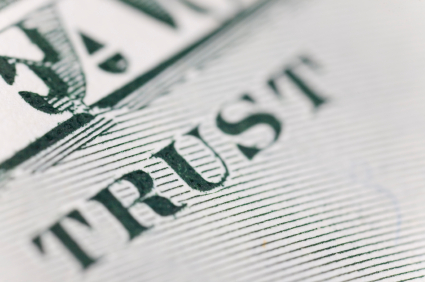 Clearly the opportunity to build trust with clients exists, and if you are able to do that, you should be able to flourish in this industry as clearly half of the participants are looking for someone they can trust. The study goes on to show that 38 percent of investors state, “trusted to act in my best interest” as the most important attribute in hiring an investment manager. At CLS, we invest portfolios and take our role as a fiduciary in managing those portfolios very seriously. We understand that duty to put client interests first and how important trust is in all relationships, not just personal ones.